The Botanical Gardens is an inspiring place to learn about art, horticulture, and wellness. A Horticulture Certificate Series, Horticulture VI, will begin February 23, Beginner, Intermediate, and Studio Watercolor classes will be offered in several different sessions beginning February 25 and two sessions of Yoga, Gentle Hatha and Gentle Power Flow, will be offered beginning February 27. David Clark, Horticulturist and CNLP, teaches enlightening Horticulture Certificate Programs; Horticulture I, II, III, IV, V and VI at the Botanical Gardens. David is a dynamic instructor with a wealth of knowledge. He is fast becoming one of the country’s noted garden speakers. His classes are very popular as he conveys subject matter with infectious enthusiasm. These classes are great for beginners who would like to learn more about gardening as well as for experts looking to refine their skills. Horticulture VI begins on February 23 and includes five classes. Topics in this series are comprised of: Great Grasses and Lawn Care on February 23, Color Theory and Texture in Gardens on March 9, World Tour of Garden Design on March 30, Tough Plants for Tough Sites on April 6 and Edible Plants and Composting on April 27. Classes will be held Saturdays from 11:00 am-1:00 pm and participants are welcome to enroll in all classes for a certificate or for individual classes to brush up on skills. Classes are held in the Administration Building located on the Botanical Gardens’ campus. Tuition for Horticulture VI is $25 for individual classes for the general public and $20 for individual classes for Botanical Gardens’ Members. For more information, the class syllabus or to register please call 716-827-1584 ext. 730 or register online at www.buffalogardens.com. BM4 – February 26, March 5, 12 and 19; BM5 – March 26, April 2, 9 and 16; BM6 – April 23, 30, May 7 and 14. Wednesday evening sessions will be held from 5:45-8:15pm and will include: BE4 – February 27, March 6, 13 and 20; BE5 – April 3, 10, 17 and 24; BE6 – May 1, 8, 15 and 22. Intermediate Watercolor Classes are for students with previous experience who would like to move beyond the basics. Sessions will be held on Tuesday evenings from 5:45-7:45pm and will include: IE4 – February 26, March 5 and 12, 19; IE5 – March 26, April 2, 9 and 16; IE6 – April 23, 30, May 7 and 14. Studio Watercolor classes encourage students to bring in paintings in progress for advised instruction and feedback. This class features group interaction, a welcoming environment and is appropriate for all levels. Studio classes will be held Monday mornings from 8:45-10:45am. Sessions include SM4 – February 25, March 4, 11 and 18; SM5 – March 25, April 1, 8 and 15; SM6 – April 22, 29, May 6 and 13. Class size is limited and pre-registration is required. Beginner Watercolor classes are $19 per class for the general public and $17 per class for Botanical Gardens’ Members. Intermediate and Studio Watercolor classes are $17 per class for the general public and $15 per class for Botanical Gardens’ Members. To register, please call 716-827-1584 ext. 730 or register online at www.buffalogardens.com. 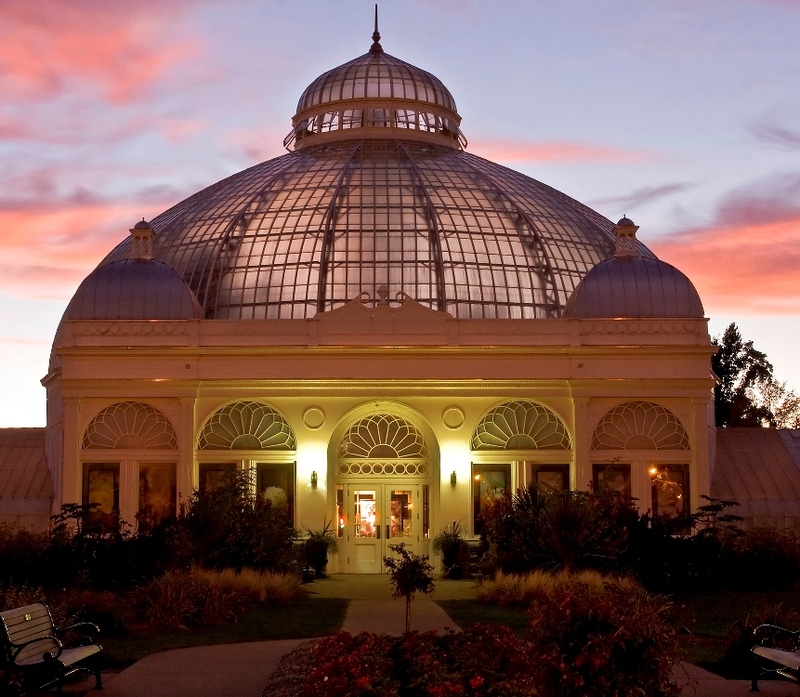 Find balance both mentally and physically during yoga held inside the Botanical Gardens. These sessions are led by Leanne Oldenbrook, owner of Oasis Yoga and Wellness and yoga instructor for 13 years. Gentle Hatha Yogaconsists of gentle stretches to warm up joints and muscles, postures designed to increase strength, flexibility and balance, and time for relaxation and meditation. This class is suitable for all levels but especially students with injuries or limitations. Gentle Power Flow Yoga, is a more vigorous practice featuring relaxation, warm up stretches, series of sequences, and Pilates postures designed to build strength, endurance, and body heat. Both sessions of yoga will be offered Wednesday evenings. Gentle Hatha Yoga will run from 5:30- 6:45 pm and Gentle Power Flow Yoga will take place 7:00-8:15 pm. This is a ten-week session and will be held February 27, March 13, 20, April 3, 10, 17, 24, May 1, 8, 15. Yoga at the Botanical Gardens is sponsored by Mercy Hospital, part of Catholic Health. Students may enroll in a full session or individual classes. The ten-week session is $100 for the full series or $15 per class. Yoga classes are free to eligible BlueCross BlueShield of WNY members. To register for one class or a series, contact Leanne at 716-864-1194 or crescmnyoga@yahoo.com or online www.cmyoga.com.